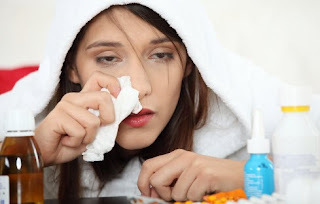 If you everywhere you turn someone has a cold, flu or infection of some type, and if you don’t want to be next on the list, it’s essential to do all you can to help keep viruses and infections from taking hold of you. Here are eight safe, natural and effective strategies to help you prevent sickness during the heavy cold and flu months (and all year round!). And even if you do happen to catch something, chances are excellent you’ll be able to fight it off a whole lot better and faster! To all you Night Owls out there: this is not the time of year to skimp on sleep. Lacking sleep can compromise your immune system functioning, making you more susceptible to infections and viruses of all kinds…and even just one night of poor sleep can take a HUGE toll! A study was done on healthy male volunteers in which they were deprived of sleep for a single night. The next day, the activity of their natural killer immune cells fell by as much as 30 percent! Make sure you’re getting at least seven to nine hours of sleep per night. Washing your hands frequently throughout the day is crucial, especially after being in public places. Ordinary soap and water is best—no need for the anti-bacterial stuff. Actually anti-bacterial soaps can work against you to eventually reduce your body’s ability to fight off bacteria. Mom always said to dress warm or you’ll catch a cold…and she wasn’t entirely wrong. While simply stepping outside in cold weather without a jacket doesn't cause a cold, hypothermia (the lowering of your body's core temperature) suppresses immunity, which can lead to colds. In addition, vasoconstriction (when blood vessels close to the outside of your body, such as those found in your nose, get narrow) leads to dryness, and the dryness can compromise your nose’s ability to filter out infections. Fish rich in Omega-3 essential fatty acids: These include salmon, tuna and cod. Omega-3 EFAs are the precursors for series-3 prostaglandins, which are compounds that help regulate your immune system. Brightly colored fruits and vegetables: These are rich in vitamins A, C and E as well as phytonutrients, all of which enhance your immune system functioning. Onions: Onions contain compounds that have antibiotic properties and serve as a natural anti-inflammatory. Garlic: Garlic has sulfur-containing compounds such as allicin that have been shown to be effective in fighting the common cold. Shiitake mushrooms: These contain the phytonutrient lentinan, which has been found to power up your immune system and strengthen its ability to fight colds. Vegetable oils exposed to high heat: These produce harmful substances that damage your immune system. Refined carbs, processed food and fast food: Rather than nourishing you, these deplete your body’s supplies of vitamins and minerals that are necessary for proper immune function. Sugar: This out and out reduces the responsiveness of your immune cells. The Great Taste No Pain system can guide you here by showing you how to structure nutritious meals for easier digestion, which will also go a long way in keeping your healthy by encouraging better nutrient absorption and elimination of wastes. Plus it’s loaded with delicious recipes that will make you love eating for better health. Exercise is a double whammy when it comes to fighting illness. First of all, exercise helps boosts immunity by nourishing your cells with more oxygen and blood. Secondly, it also helps you release harmful toxins when you sweat! So pick an activity you like or will at least tolerate, get your doctor’s OK (especially if you haven’t exercised in a while or ever) and get moving at least three-four times a week. Stress causes changes to your gut microbes which in turn can hamper your immune system functioning. That’s why you seem to get sick easier when you’re under stress-your body literally can’t fight off sickness as well. Do whatever works for you. Exercise is a great place to start, plus you can try meditation, counseling, prayer, yoga, deep breathing or even taking up a hobby. Although most nutrients have some kind of positive effect on your immune system functioning, vitamins C and D are the immune superstars. Good sources of vitamin C include parsley, broccoli, bell peppers, strawberries, oranges, lemon juice, papaya, cauliflower, kale, mustard greens and Brussels sprouts. If you want to consider supplementing, be sure to look for a fully buffered Vitamin C-mineral ascorbate. Recommended daily doses are 1,000 – 3,000 mg.
Vitamin D also helps regulate your immune system activity by helping to prevent excessive, inflammatory immune responses. Food sources of Vitamin D include shrimp, milk, cod and eggs. And if you want to supplement, nothing beats Dr. Salerno’s Vitamin D-K Factor. Each daily dose gives you a whopping 5,000 IUs of vitamin D, as well as 550 mcg of vitamin K for added bone and cardiovascular support. Nothing supports your immune system like a healthy dose of the same beneficial bacteria that reside in your gut and house about 70 percent of that immune system! The key is taking a probiotic supplement that has a wide variety of bacteria strains (more strains = more possible ways to enhance your health). Super Shield multi-strain probiotic formula delivers on that important point. Super Shield contains 13 potent strains of beneficial bacteria, each of which has its own specialty on how it enhances your health and helps support your immune system to better fight colds, flu, infections and many other illnesses. Cold and flu season will soon be upon us, but it doesn’t have to take its toll on your health! Put the 8 Super-Effective Infection and Virus Prevention Strategies to work for you, and chances are excellent that you will be able to better fight off viruses and infections and stay healthier not only through the cold and flu season, but 12 months a year!